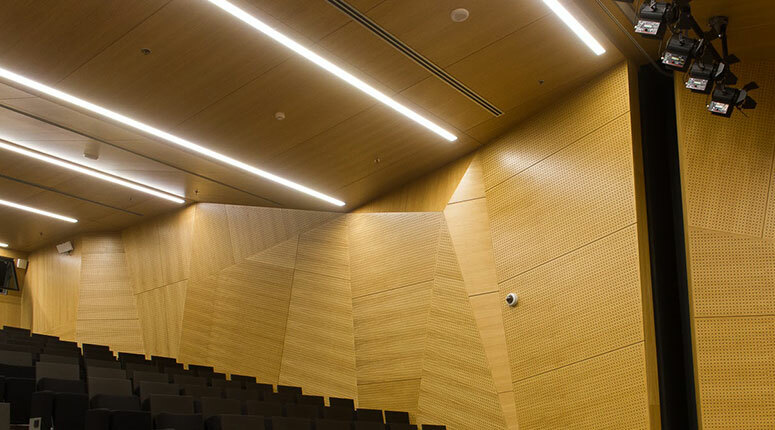 This stunning auditorium was completed by Woodfit as part of the development of the Argentinian headquarters of BBVA bank in Buenos Aires. 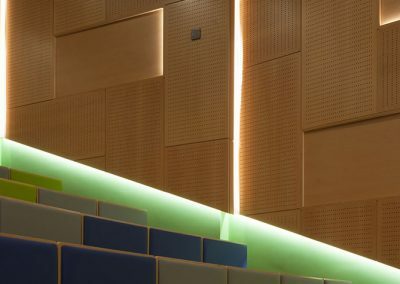 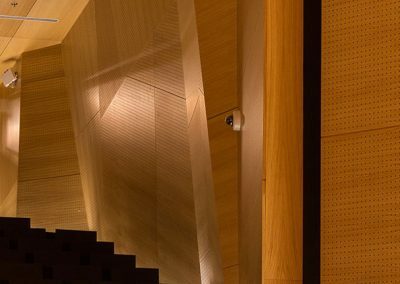 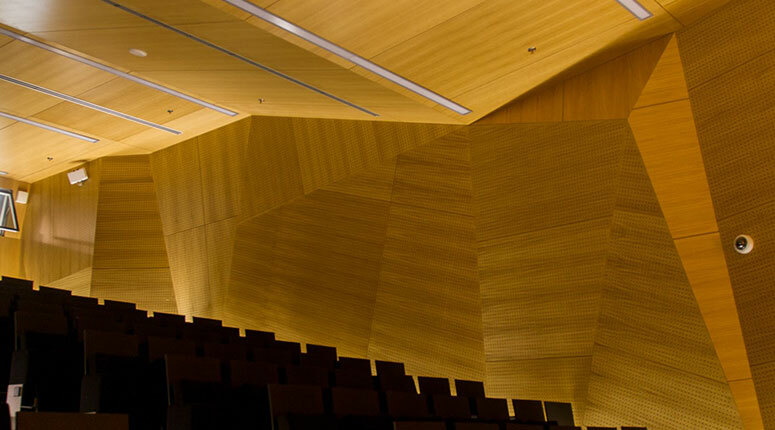 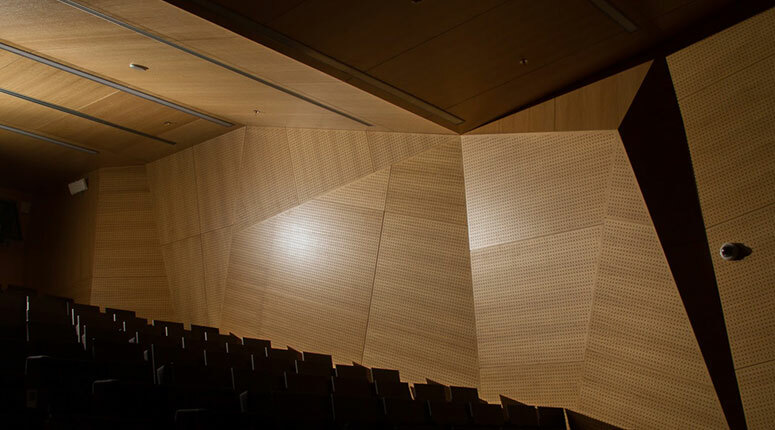 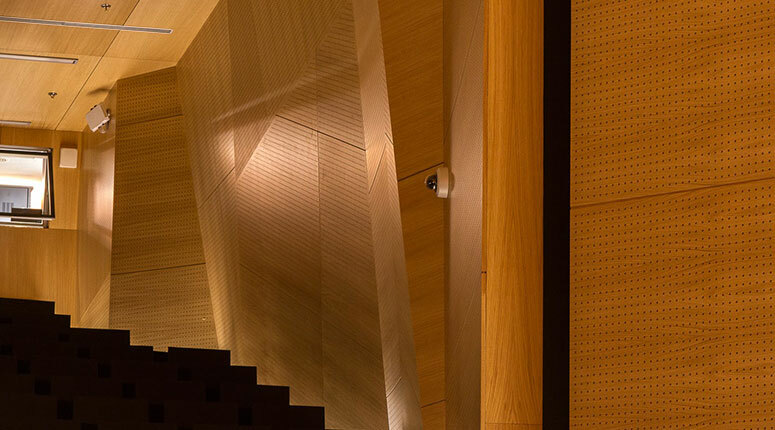 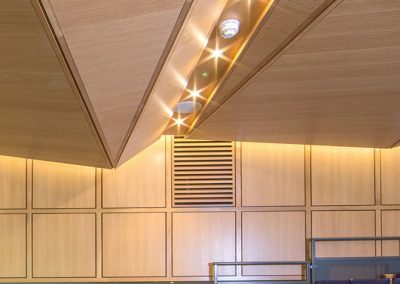 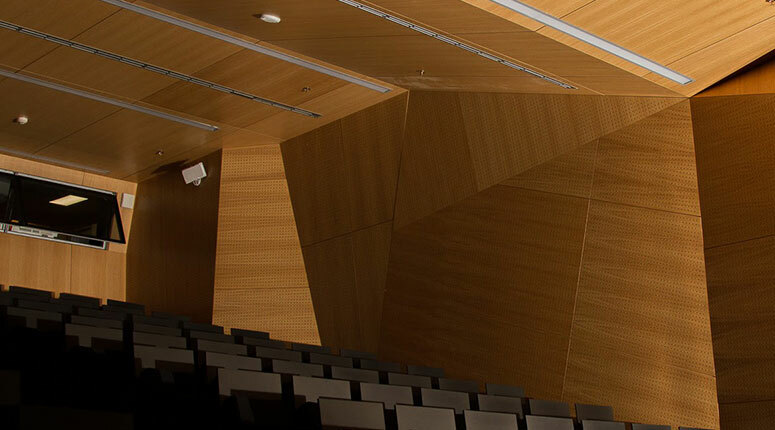 Woodfit, in association with local partners Decibel, provided custom designed perforated white oak panelling for the complex angular surface structure for both walls and ceilings. 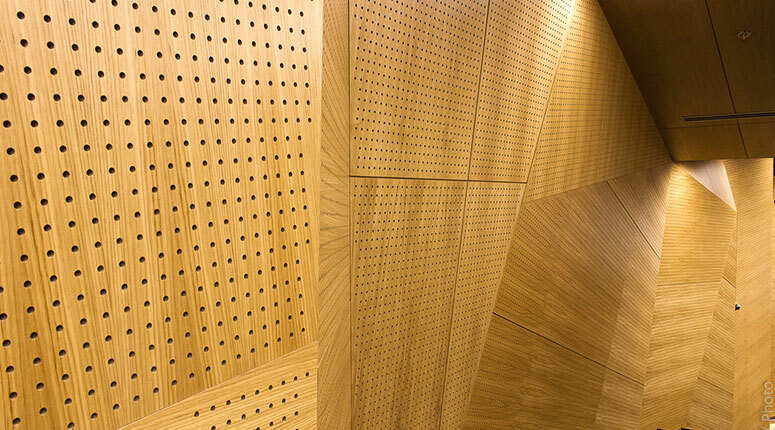 The highly customised design features over one hundred unique panels, each with its own specific angles, grain directions and perforation patterns.